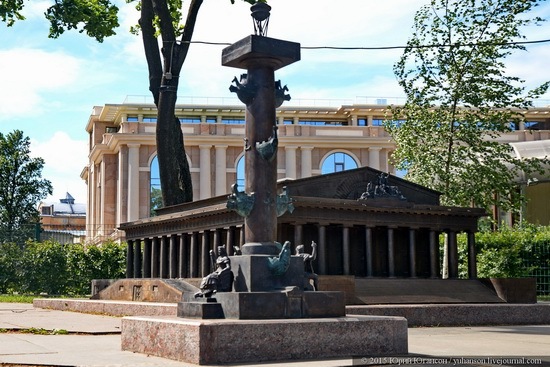 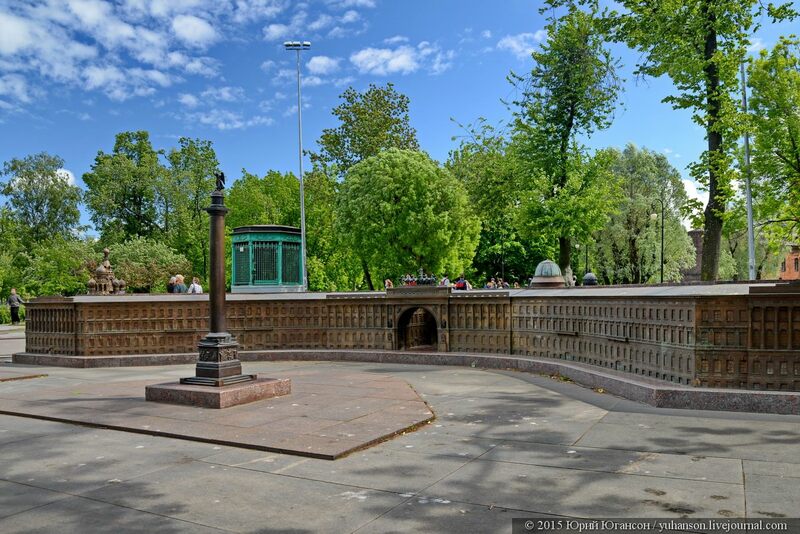 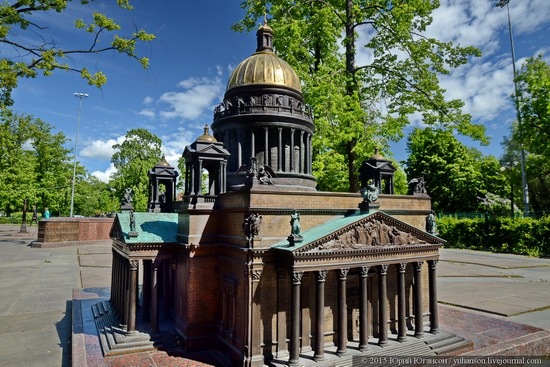 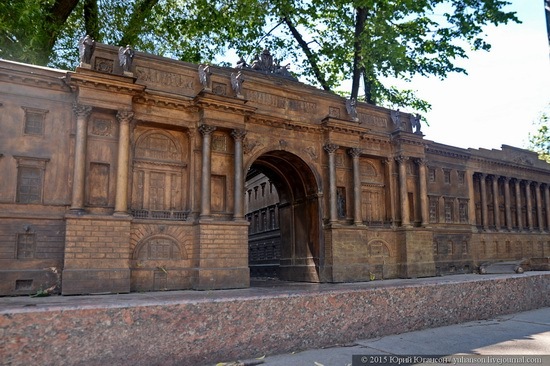 Alexander Park is a small, but very cozy park located between the Gorky Metro Station and the zoo in Saint Petersburg. 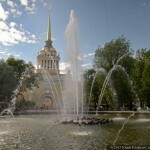 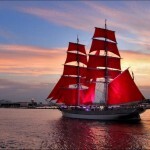 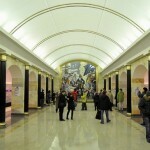 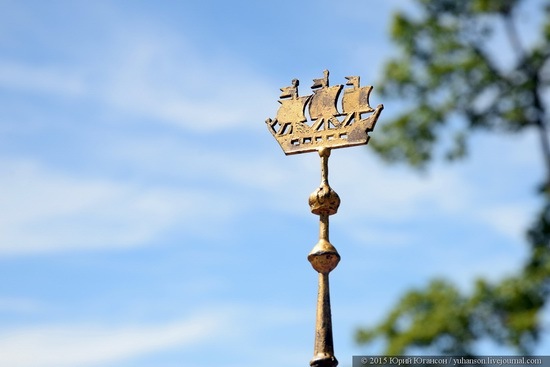 In this park, you can find an interesting exhibition “St. 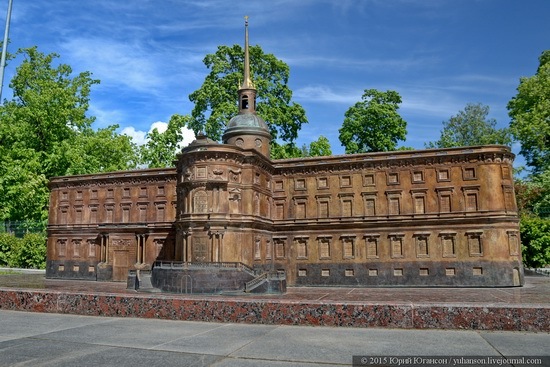 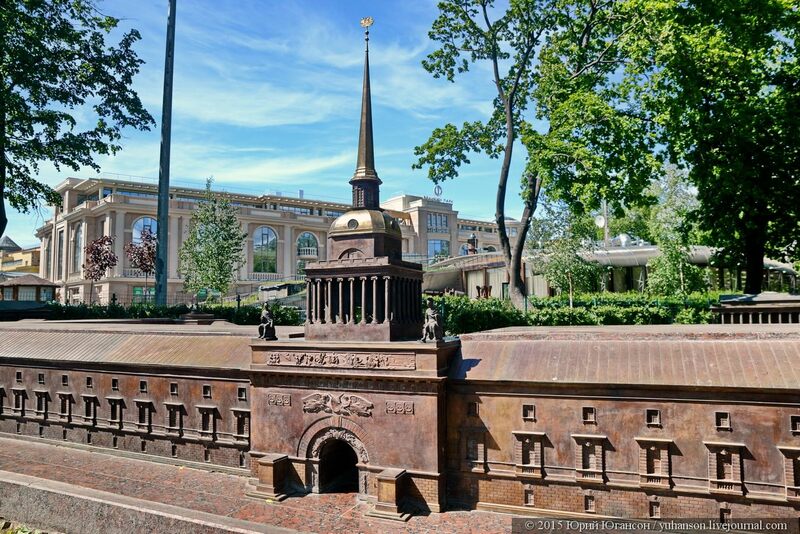 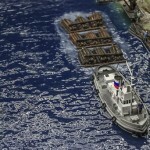 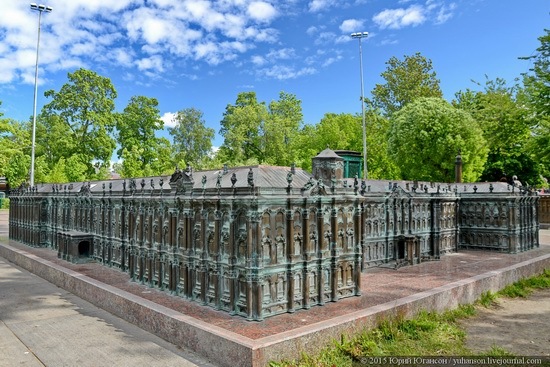 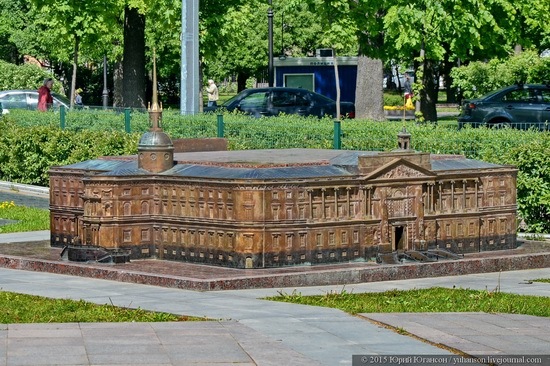 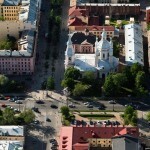 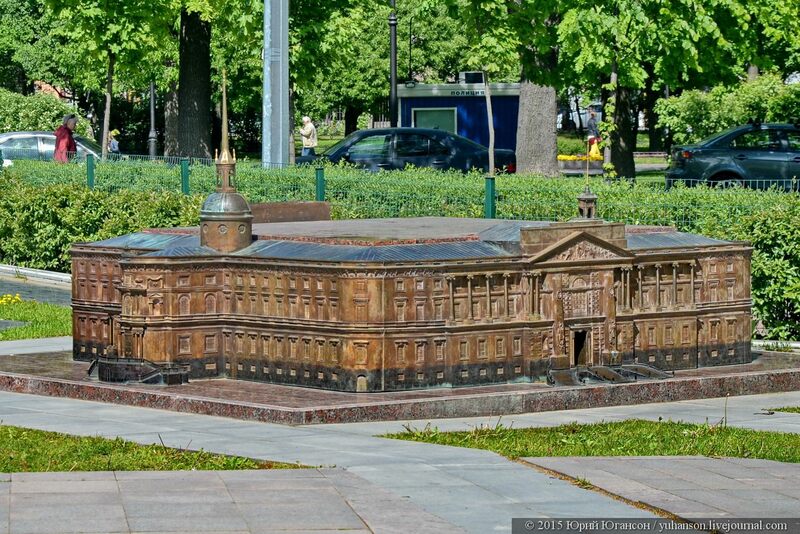 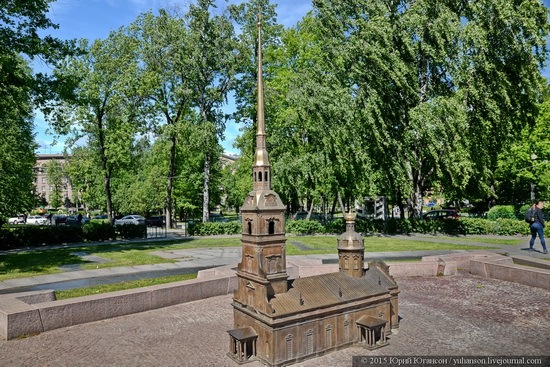 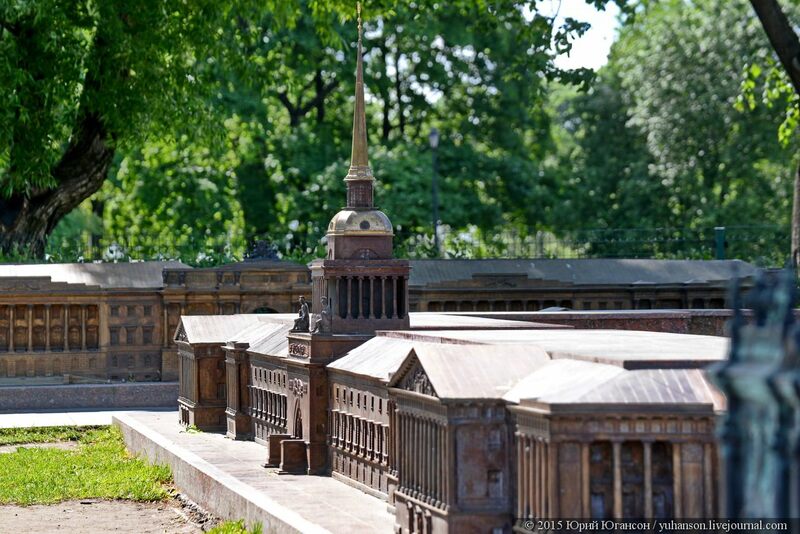 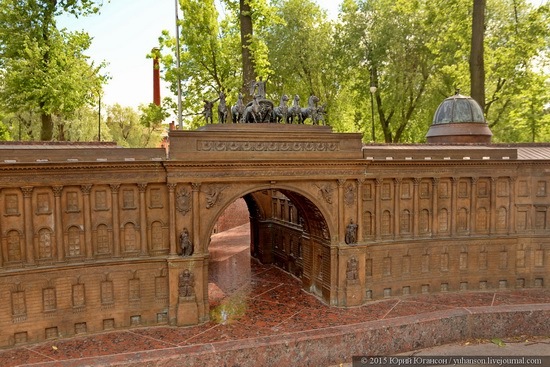 Petersburg in miniature” – a collection of mini-copies of famous historical buildings of the city. 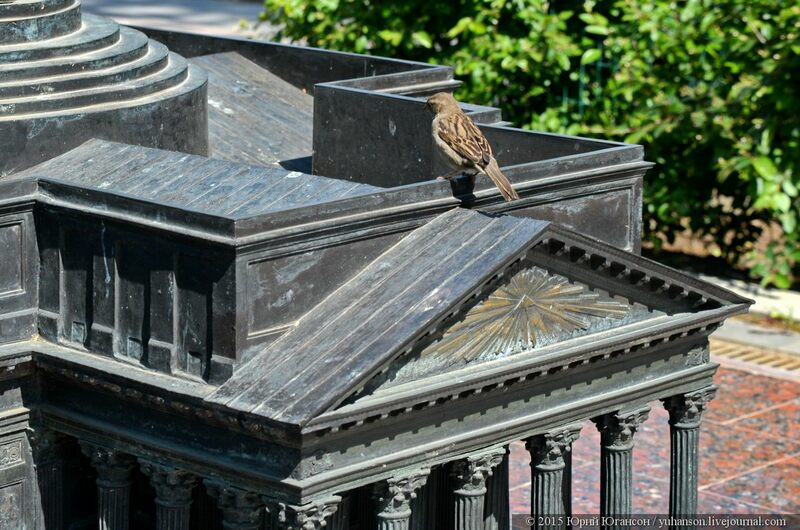 Photos by: Yuri Yuhanson. 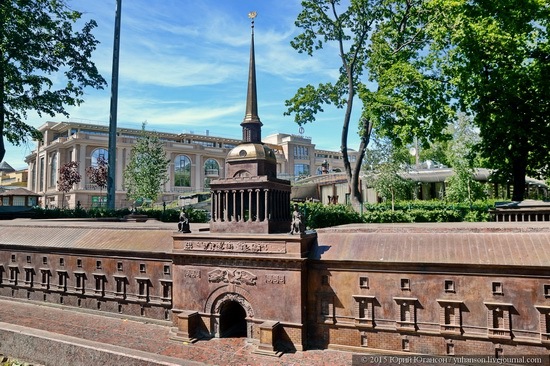 St. Michael’s Castle, also called the Mikhailovsky Castle or the Engineers’ Castle. The Rostral Column and the Stock Exchange building on the Spit of Vasilievsky Island. 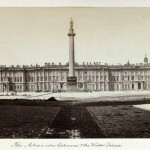 The Alexander Column and the General Staff Building on Palace Square. 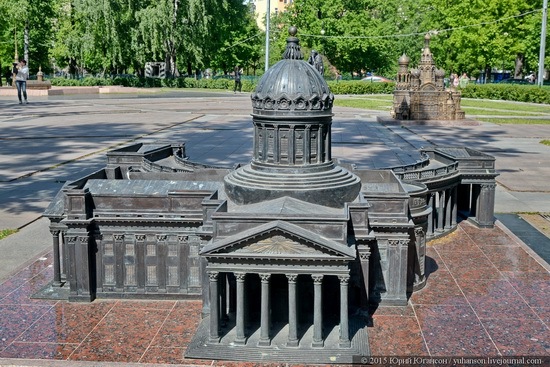 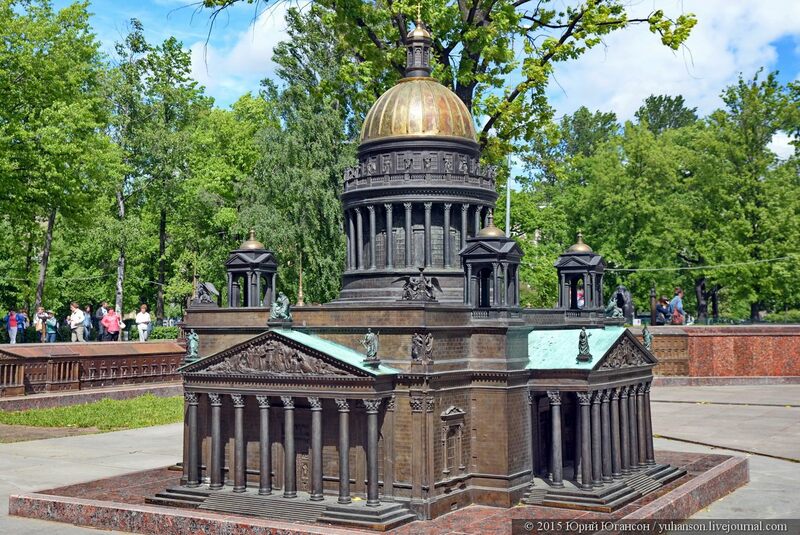 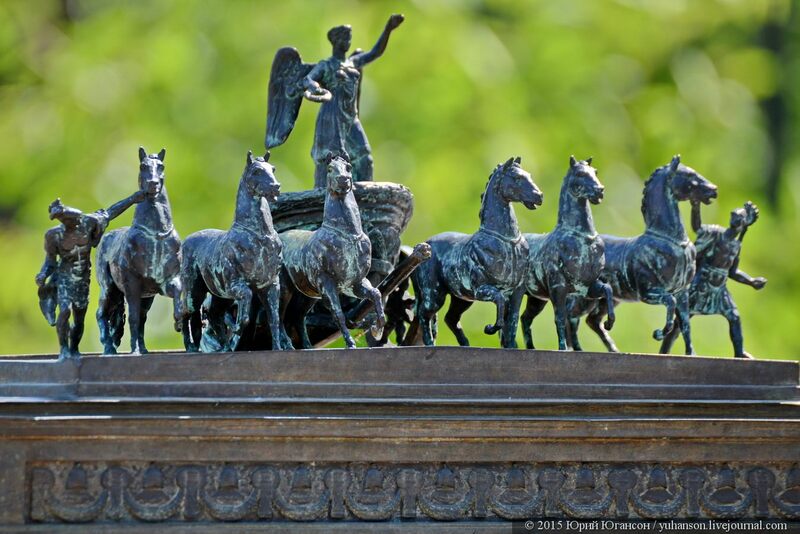 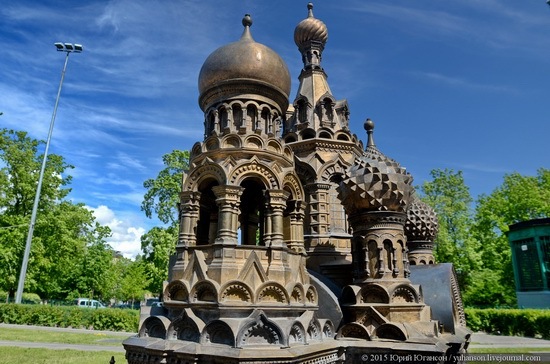 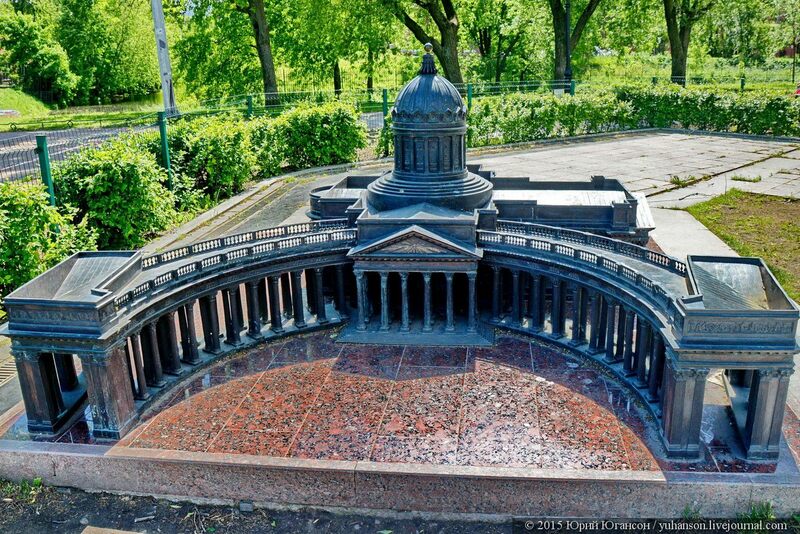 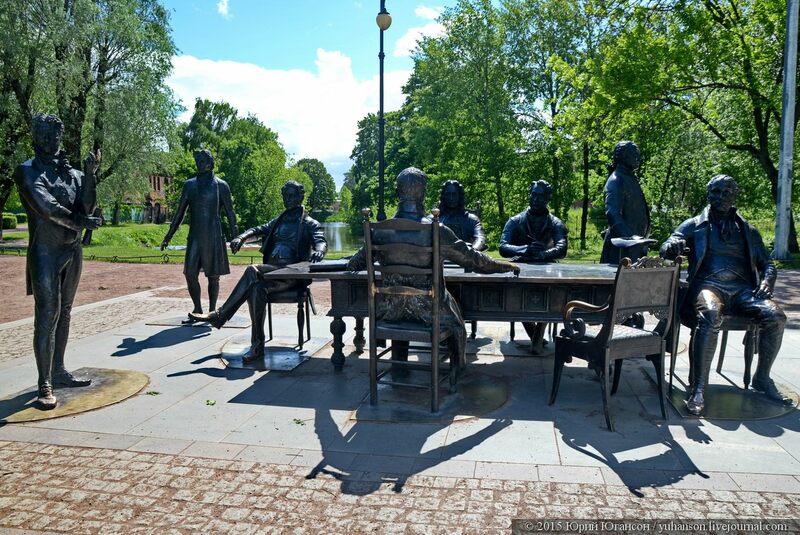 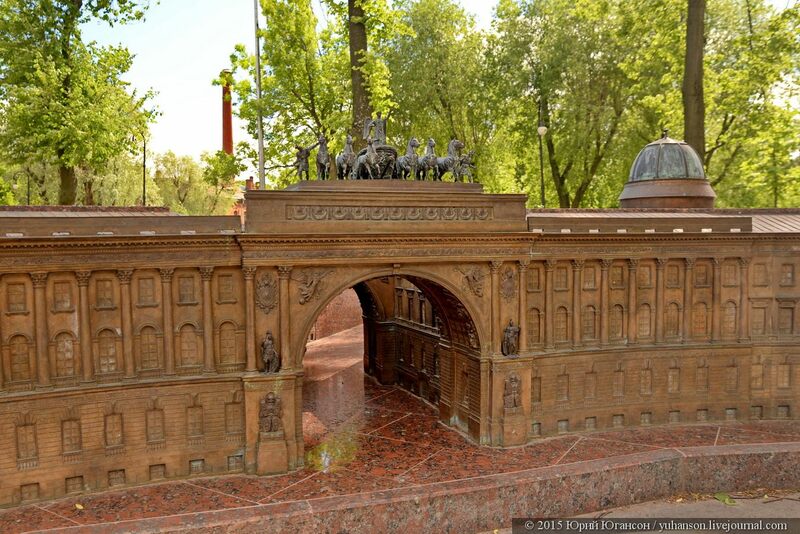 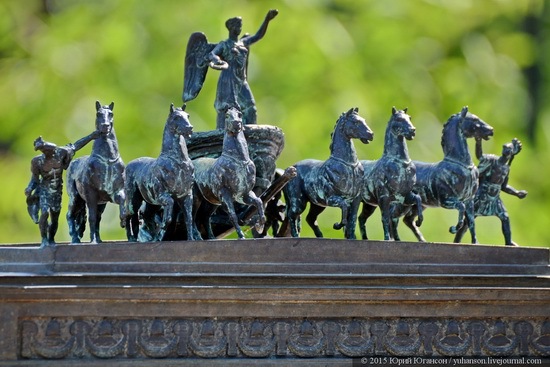 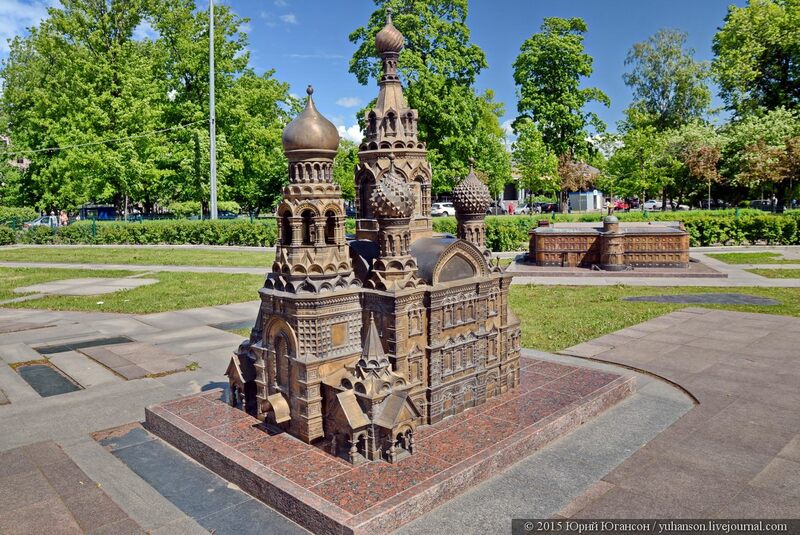 The sculpture “Architects of St. Petersburg” – a monument to the people who created this beautiful city.